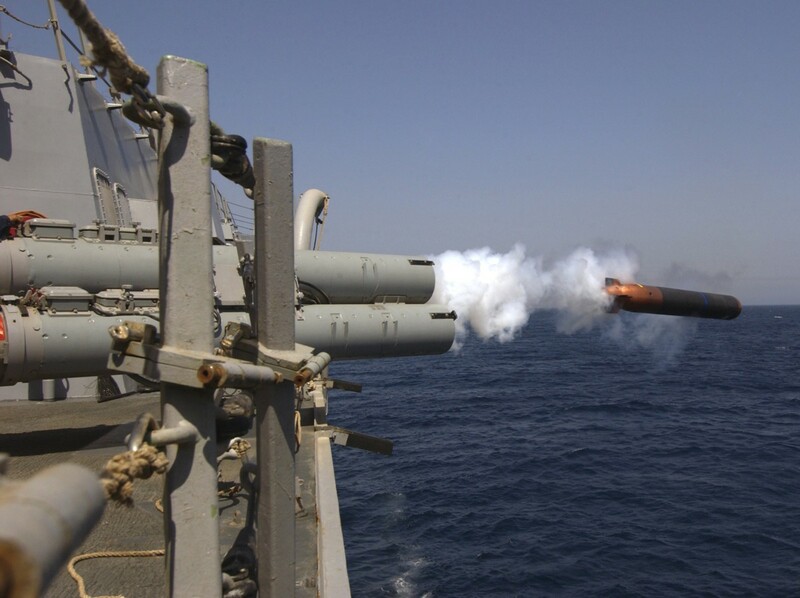 The Mk-50 torpedo is a highly capable undersea weapon for U.S. Navy surface ships and aircraft. Developed to replace the Mk-46 torpedo, it was first authorized for fleet use in October 1992. The Mk-50 is designed to counter the fast, deep-diving, double-hulled nuclear submarine threat. Relative to the Mk-46, the Mk-50 has increased range, more sophisticated counter-countermeasure logic, and greater lethality, speed, depth, and endurance. Major technological advances include a Stored Chemical Energy Propulsion System (SCEPS). Another significant advantage is that the weapon’s tactics and signal processing are software driven. A Mk-50 software block upgrade program was conducted in the mid-1990s to enhance the Mk-50’s shallow water performance.